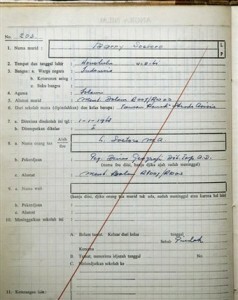 Not that we are surprised, but now there are multiple copies of Barack Hussein Obama’s “real” birth certificate that are surfacing and they are clearly indicating fraud. In a rare move, the Alabama Democrat Party has submitted an amicus brief in the McInnish Goode v Chapman Appeal case. The reason being is most likely because the Alabama Supreme Court has Chief Justice Roy Moore presiding over it. The Alabama Democrat Party just submitted a completely different birth certificate than the one that was posted at the White House website in 2011. Today the long awaited press conference by Sheriff Joe Arpaio’s office took place at 5:30pm EST. 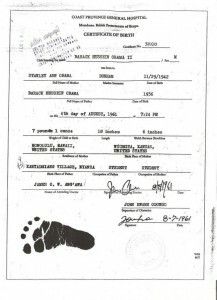 Its goal was to bring forth new evidence that provides indisputable evidence that the birth certificate of Barack Hussein Obama is in fact a forgery. If Barack Obama has an immediate eligibility problem, it is more likely to derive from the Social Security Number he has been using for the last 35 years than from his birth certificate. Ohio private investigator Susan Daniels has seen to that. On Monday, July 2, she filed suit in Geauga County (Ohio) Common Pleas Court demanding that Jon Husted, Ohio secretary of state, remove Obama’s name from the ballot until Obama can prove the validity of his Social Security Number. 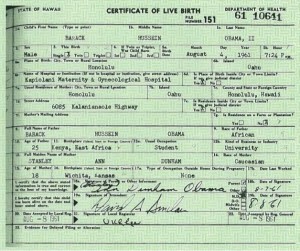 “There is a problem with President Barack Obama’s long-form birth certificate: It’s a forgery, say multiple forensic experts who have examined it. A report detailing the evidence will soon be presented to Congress. . . .
“The difference between a conspiracy theory and a crime is that a conspiracy theory cannot stand against the test of forensic evidence. Those who dismiss this investigation as merely “kooky” must answer these questions: Are leading experts in their field who have provided their professional assessment to a criminal investigation merely to be ignored? Mike Zullo hits Washington D.C. – Again! Meeting with still MORE Washington VIPS! PPSIMMONS News and Ministrycan now reveal that Mike Zullo is in Washington D.C. today, Monday July 8, to meet with several high-ranking VIPS on Capitol Hill about the Sheriff Arpaio Obama Fraud case. 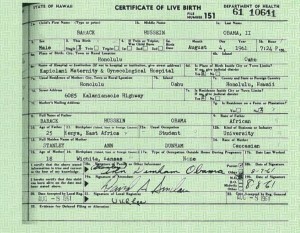 BIRTHGATE UPDATE: ‘Obamabots’ Going Crazy Over Birth Certificate Announcement! REVEALING! Major ‘Obamabot’ Players Going CRAZY Over Zullo and Gallups Announcement! 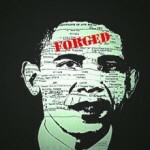 From PPSIMMONS – our latest post on the Obama Fraud case (http://www.ppsimmons.blogspot.com/2013/04/latest-4-29-13-more-vips-on-board-with.html) has caused quite a stir among the Obamabots. They are leaving tons of comments under the post, but we are simply deleting them. Why? Because the comments are inane and the Obamabots are simply attempting to gather supporters to their forums by riding the sweeping wave of popularity of the PPSIMMONS news and ministry sites. We will not allow them to use PPSIMMONS for free and worldwide advertising for their disinformation campaign. The story we have been following since it began. The one the MSM seems not to know is going on. During that time Obama has ignored court orders to appear before a judge refusing even to send his counsel. Once the heat got real hot he them posted a Hawaiian Birth Certificate. After study by document researchers, and a Posse of lawmen assembled by “America’s Sheriff,” Maricopa County Arizona Sheriff Joe Arpaio to look into the charges. 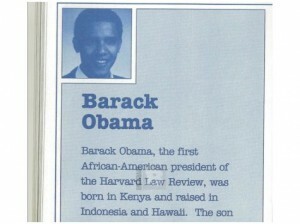 They found that the birth certificate posted by the Obama Administration was computer generated (before computers were around to produce such documentation} They also found that his Selective Service card has many mistakes and is probably fraudulent also. A alert armature investigator brought to our collective attention that there were things wrong; the name of the Hospital on the so-called document didn’e exist until 1972, 9 years AFTER Obama’s birth… somewhere, for one. It’s OK for Joe Biden to talk about how Republicans are going to enslave black people if Mitt Romney gets elected, but don’t you dare tell a joke about the controversy surrounding President Obama’s birth certificate. Democrats have no trouble saying that Mitt Romney is an accomplice to murder, but any talk about President Obama’s birthplace is verboten. Describing Mitt Romney as a “felon” is an acceptable campaign charge but bringing up Obama’s birth certificate is seen as felonious assault on the president. 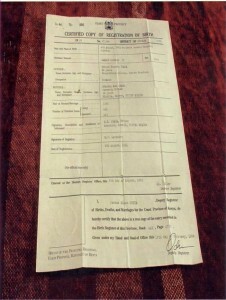 PHOENIX – It was the Tea Party that initially petitioned Maricopa County Sheriff Joe Arpaio to investigate president Obama’s eligibility to appear on the ballot in Arizona after the birth certificate he unveiled to the public on the White House’s website on April 27, 2011 was deemed a forgery by numerous document experts. Expecting to clear the president, Arpaio assigned a Cold Case Posse (CCP) team, at no expense to taxpayers, to investigate the document. While in the process, the CCP looked into Obama’s Selective Service registration, which was purported to be a document fraudulently created in 2008. CCP lead investigator Mike Zullo presented preliminary evidence during a March 1 press conference indicating they had probable cause to believe both documents were forgeries. Trump plays up birth certificate issue in Fla. Speaking to reporters at a press conference in Sarasota, Fla., Donald Trump said Mitt Romney’s birth certificate quip in Michigan last week may have been a lighthearted joke, but that the issue of President Obama’s birth certificate is far from settled. While the Republican Party gears up for its biggest event of the year next week in Florida, the conspiracy theorists among them are already looking forward to another convention of sorts next month in Arizona.